Like antique knickknacks but your space is getting cluttered up? This retro lighting accent is perfect for giving a room that vintage vibe in a functional way. 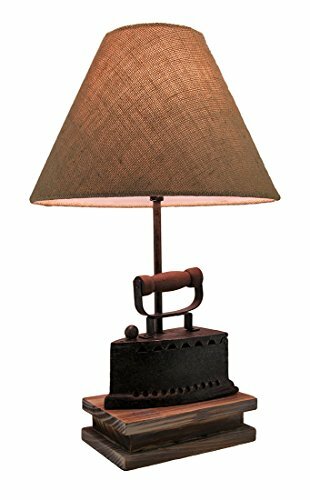 The lamp features a vintage style flat iron set on a wooden base with a beige burlap fabric shade. With the faux aged blackened antique finish on the iron, and the medium stain on the base, the whole combination adds up to a light that will look perfect in your living room or dining room, adding a sense of the vintage while doing its job. It requires one Type A 40 Watt maximum bulb (not included), and it is turned on and off by the thumbwheel switch conveniently set along the 73 inch cord. 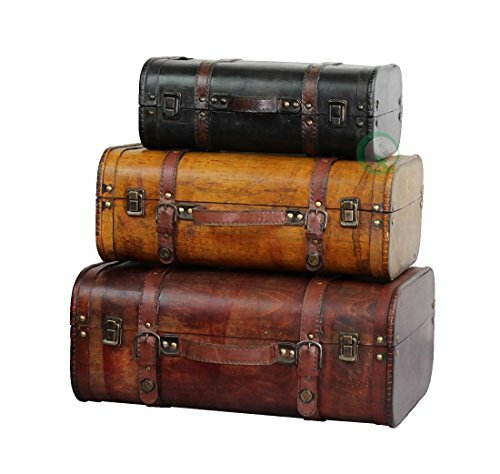 Antique-style fabric-covered suitcase boxes add visual interest to any space. 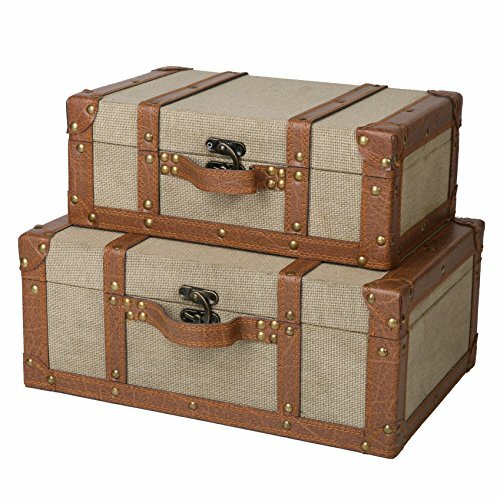 With decorative faux leather straps and a distressed linen fabric exterior, this gorgeous wooden suitcase set will add a charming touch to an office, family room or event venue. Place these boxes under a glass coffee table or stack them and use them as a side table to hold your favorite magazines and eyeglasses beside your reading chair. 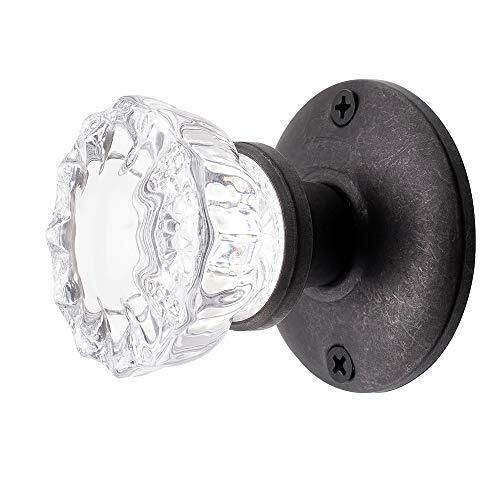 Add character to your space with this rustic, faux vintage looking door knob decoration! Includes 1 Metal Key Hole with Acrylic Knob with a lovely vintage green finish. Perfect for decorating any room, wall or space. 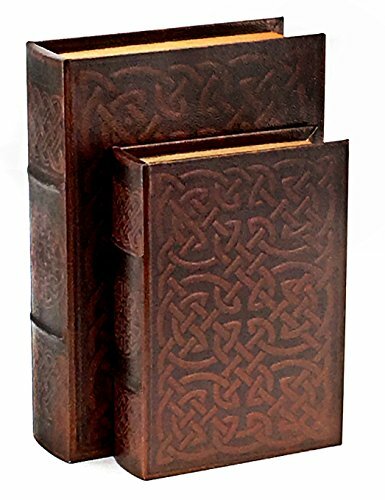 Gives any place a unique and interesting look. Makes your child's bedroom seem magical and mystical too. 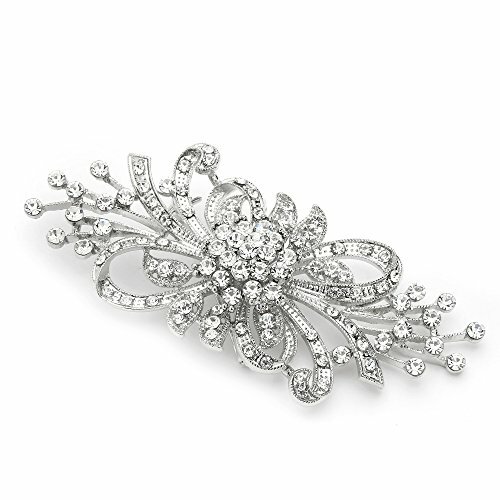 Accessorize your wedding, bridesmaid or special occasion dress with Mariell's glamorous vintage crystal bridal brooch pin in a dramatic spray design. This glistening jewel-encrusted brooch measures a generous 3 5/8" w (across) x 1 1/2" h and looks great on any special occasion gown, dress or shawl. After your special occasion frocks are neatly tucked back in the closet, enjoy this versatile brooch to jazz up your business wear or add a splash of bling to a coat, jacket or sweater. We promise you'll adorn this stunning deco-inspired silver fashion pin or your money-back. 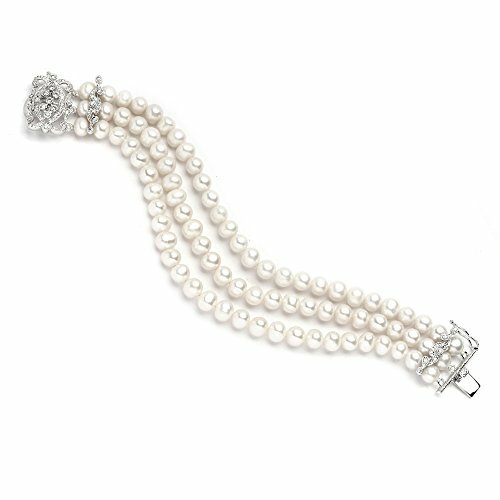 Treat yourself or someone you love to some seriously gorgeous sparkle. Lifetime Guaranteed 100% Risk-Free Purchase. 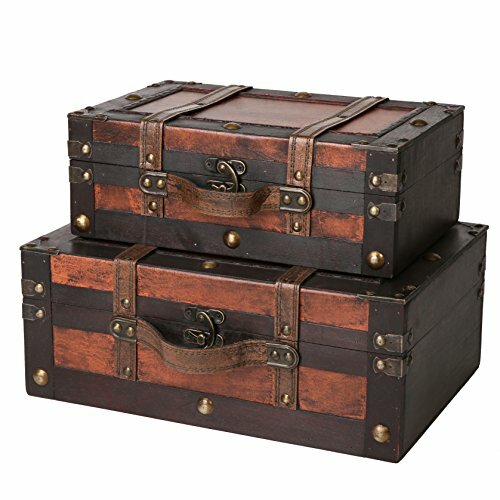 This handsome set of two wooden chests adds character to any space. Use them individually for storage in an office, bedroom or playroom. Or stack them and they make the ideal side table decorated with books, a small lamp or vintage tray. In addition to adding warmth and elegance to your home, these striking wooden chests are perfect for storing and organizing items of all sizes. Large chest measures 15.4" x 10.2" x 6.7". Smaller chest measures 12.6" x 8.3" x 4.7". 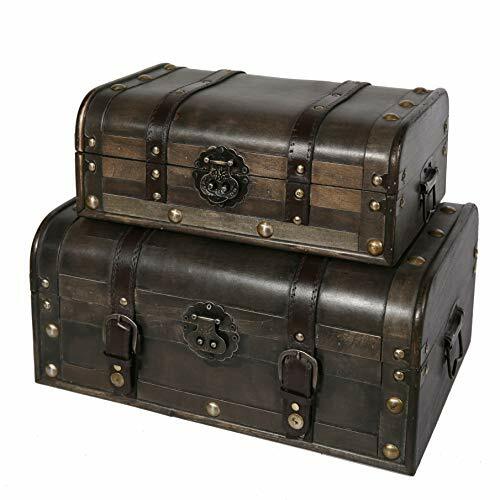 Both wooden chests feature a weathered finish, decorative faux leather straps, burnished nail heads and metal hardware. They have vintage appeal and make great props for a wedding or event. Use them as risers for a company display or offer them as gifts that keep on giving. They have so many uses, the recipient will cherish them forever.